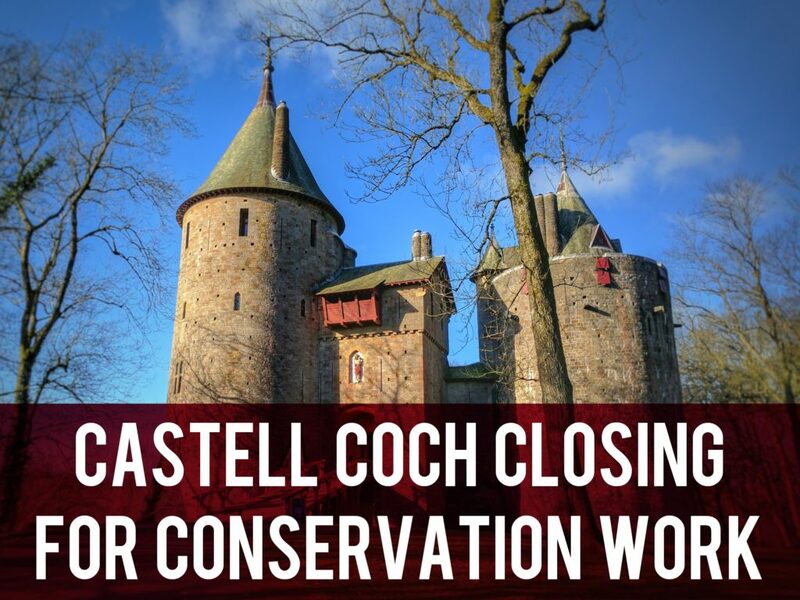 Cadw is closing Castell Coch to carry out essential conservation work. Water has been seeping into the castle and damaging William Burges’ ornate Victorian interiors. Efforts to fix the problem over the years have proved unsuccessful and further investigation was required. Drones were used to discover that the leaks are caused by tiny cracks in the chimney stones and deterioration to the pointing. To make the castle watertight for generations to come, the conservation team are planning to take down and rebuild the chimneys. 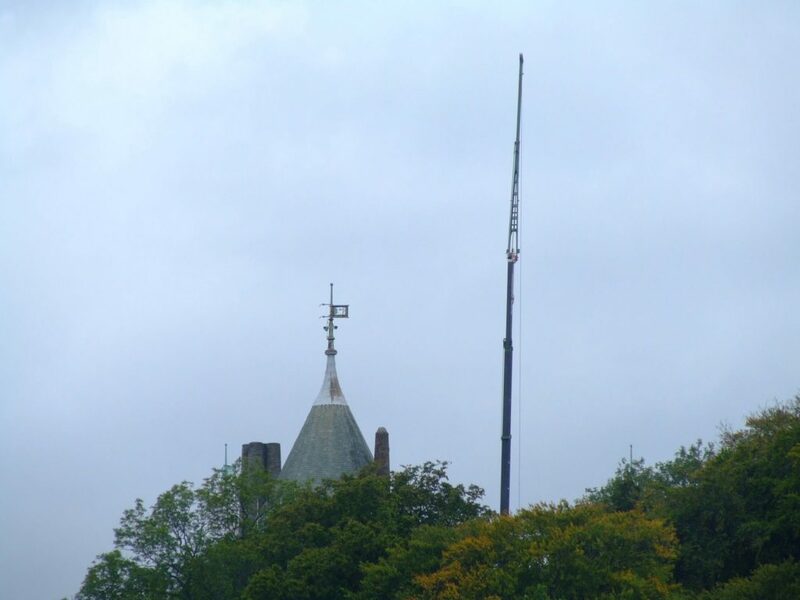 One of the chimney stacks is thought to weigh 50 tonnes! The famous Cardiff landmark will be closed from 4th June to 23rd July 2018. Roof repairs were carried out in late 2013 and scaffolding was erected in 2006. Local photographer Gale Jolly took these photos. 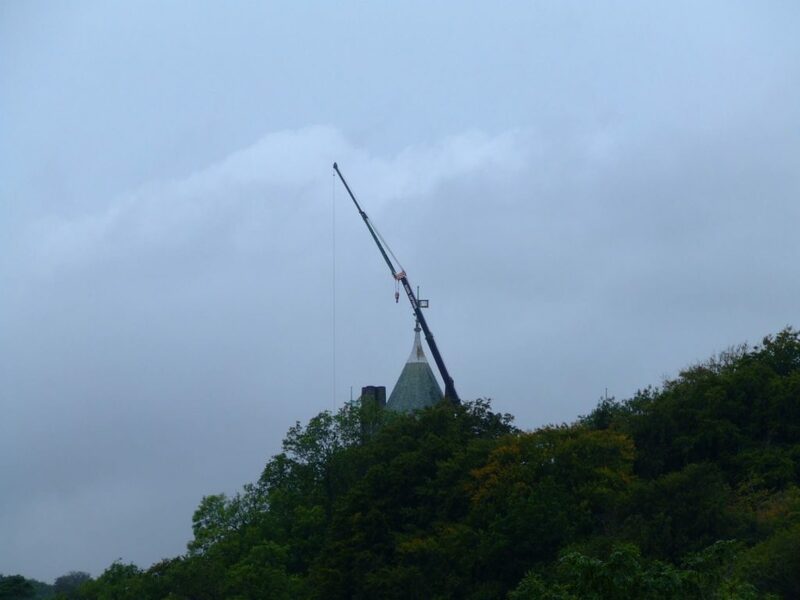 To avoid disappointment, Cadw recommend checking their website for information on the opening hours of Castell Coch in advance of a visit. 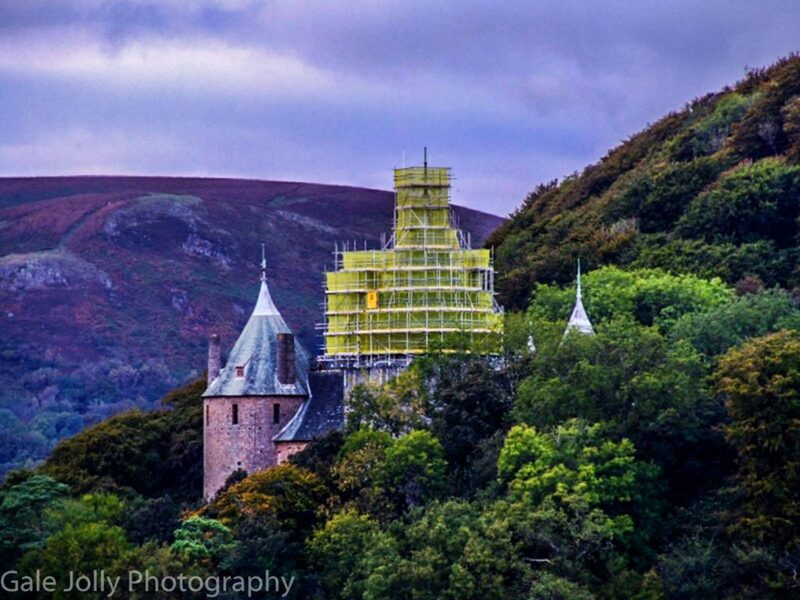 Read more about the conservation work at Cadw’s website. Thanks to Gale Jolly for letting us publish her photos. Update – The closure has been extended until 16th July 2018.